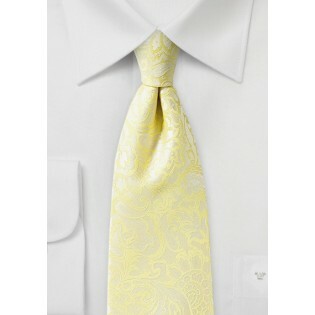 Sweep her off her feet with the refined elegance of this mens floral paisley tie in canary yellow. 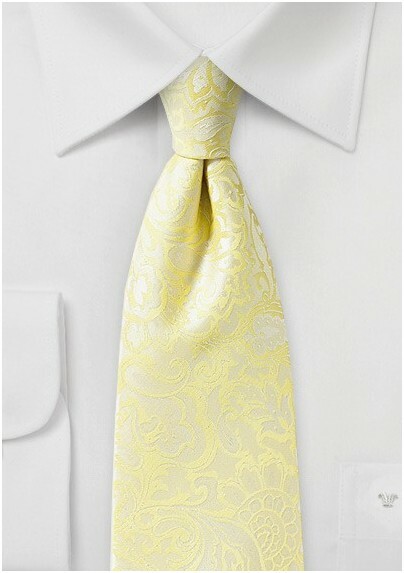 The sweeping paisley print, and glowing golden hue make for a tie option that will provide an electric spark to ignite the passion. Wear it with a stunning blue suit, and a silver button down for a sleek appearance sure to make her heart stop. Made from a strong microfiber material, designer Puccini knows what it takes to make a heart throb of a tie.